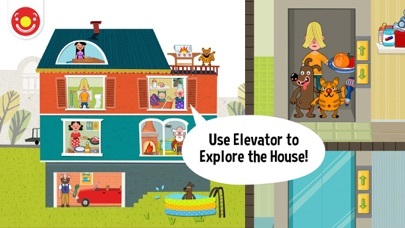 Pepi House offers a digital version of a classic doll house that is perfect for children ages three to seven. Each of the eight interactive rooms allow children to experiment and play, and then to act out countless pretend scenarios with the family and its pets. There are hundreds of animations and interactions to explore, and an endless array of scenarios that can be acted out, both realistic and completely fantastic. 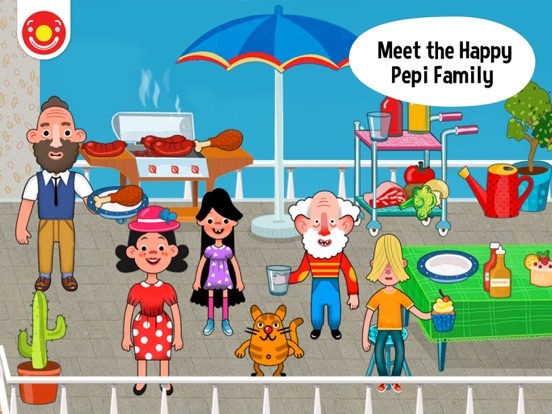 Pepi House is a high quality app that is completely intuitive to use. There is no reading required, making it perfect for young players to use on their own. Each area on the four floors is abundantly supplied with household items that can be moved around and that will animate and produce sound effects when used. 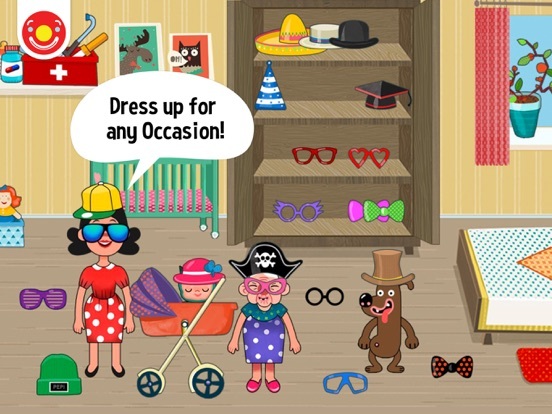 The app has a lot in common with simulation games designed for older players in that users can create personalities and interactions for the characters as they see fit. One minor concern was in the parents’ section-the area is well-protected from young users, but I was not sure that it was working properly. It showed social media links, ratings, and contact info as I believe was intended, but there is a section marked “About Pepi House” that shows a “loading” notice and never seems to finish loading. I’m hoping there is information in there about how to use this app in an interactive fashion, with kids and adults playing together, and details about how important this kind of play is to young children, but I can’t tell for sure. 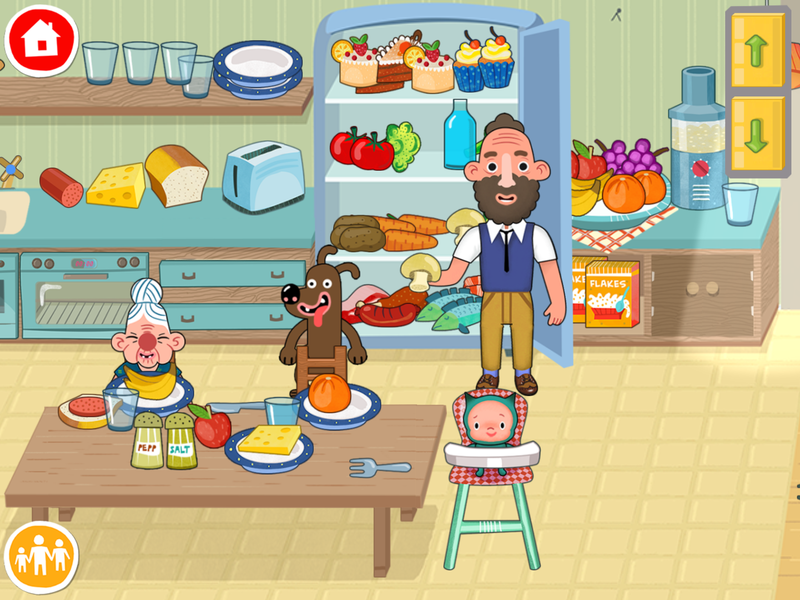 Pepi House is an outstanding educational app that will encourage and nurture independent imaginative play as well as interactive pretend play with an adult mentor. 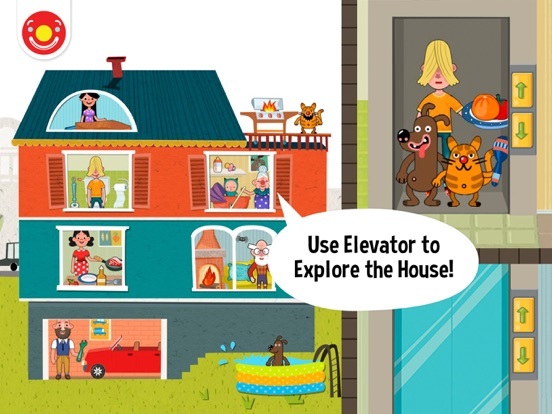 The app is essentially a digital version of a classic doll house, with a family, pets, moveable furniture, and lots of household items to play with. And like a doll house, children will love arranging the lives of the residents and acting out small plays about their family life. They will also have a ball exploring the digital interactions-which are very unlike a real doll house, but oh, so much fun! 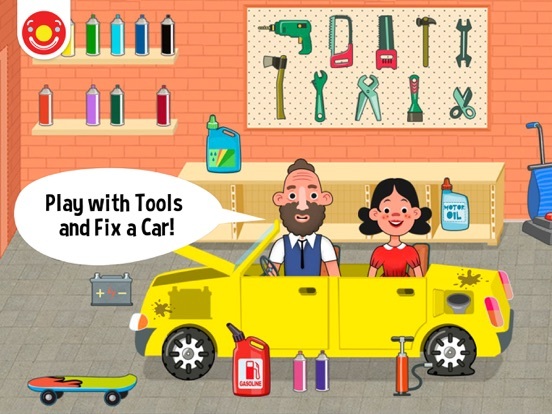 On the sales page in the App Store, the developers also suggest that the app can be used to encourage adult-child interaction, to role play and model schedules, routines, desirable behaviors, and much more. These are great ideas, and should be included in the Parents’ Area in the app so they don’t get overlooked. 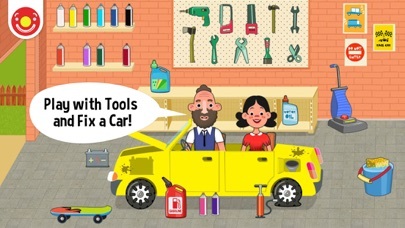 Playing with this app will nurture imagination, independence, language and vocabulary skills, and much, much more. It will do so all the more if parents take time to play with their kids, but playing independently also will yield its own set of benefits such as self-direction and maintaining attention. Either way, the app is a winner! Pepi House is highly entertaining. In the real world, doll houses are often a favorite toy for children for a number of reasons including the encouragement to pretend and use the imagination, the ability to control and be in charge of a miniature world, and the sheer joy of making up and acting out stories for the characters. 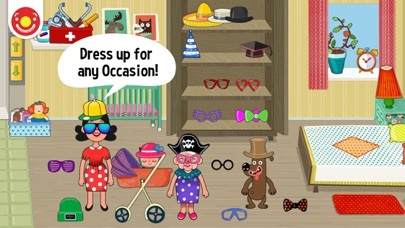 This app encompasses all of this traditional fun as well as adding digital twits that will keep kids coming back again and again. Pepi House is a load of fun to play with. 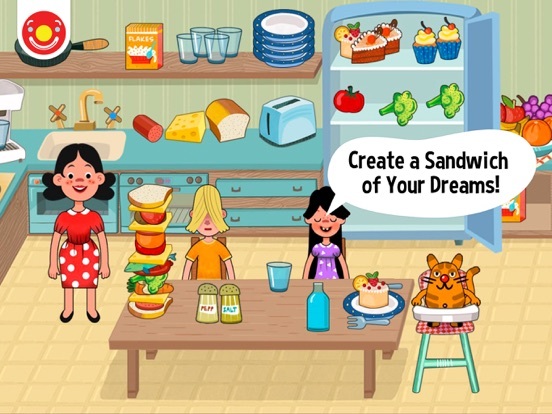 Kids will delight in exploring all of the animations and sound effects as they click on various objects, and they can move people and things from room to room and floor to floor as their stories unfold. The app invites experimentation with surprise animations, sound effects, and even character reactions that vary according to what is happening. 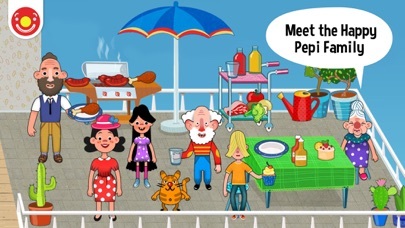 Pepi House is a good value on the App Store at $2.99. 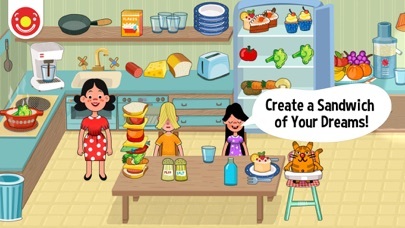 There are multiple ways to play with the app, so children will enjoy it for quite a while since they can change the way that they interact with it. It also makes a great parent-child activity, so with a little parent guidance, kids will learn new ways to play.